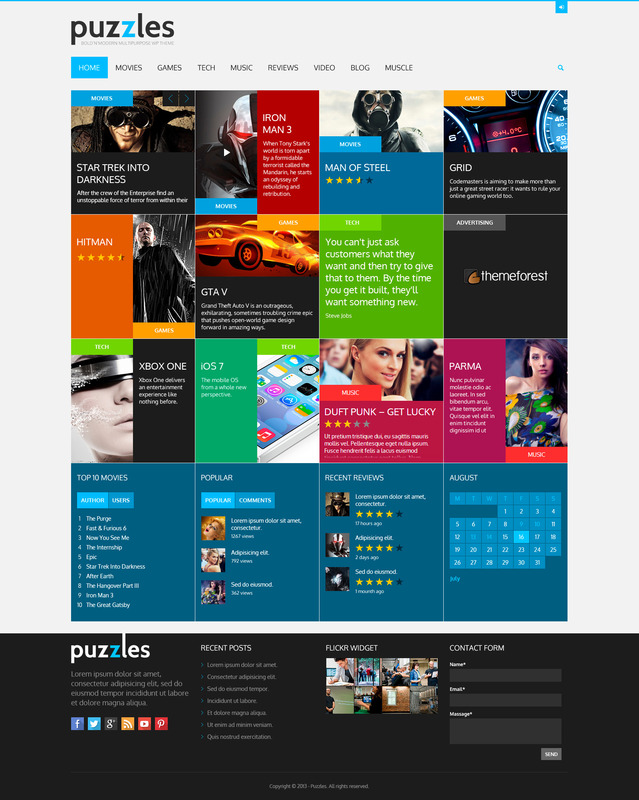 Puzzles – amazing Multipurpose WordPress Review / Magazine / Blog WordPress theme with RTL. 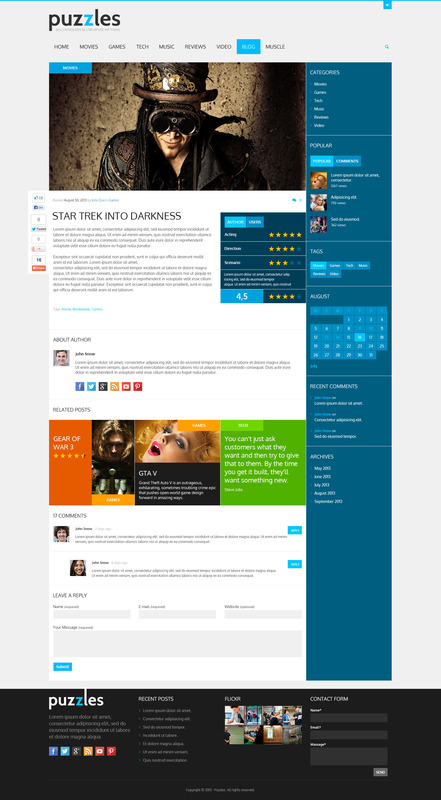 It is designed for movie review portals, games overview blogs, forums. 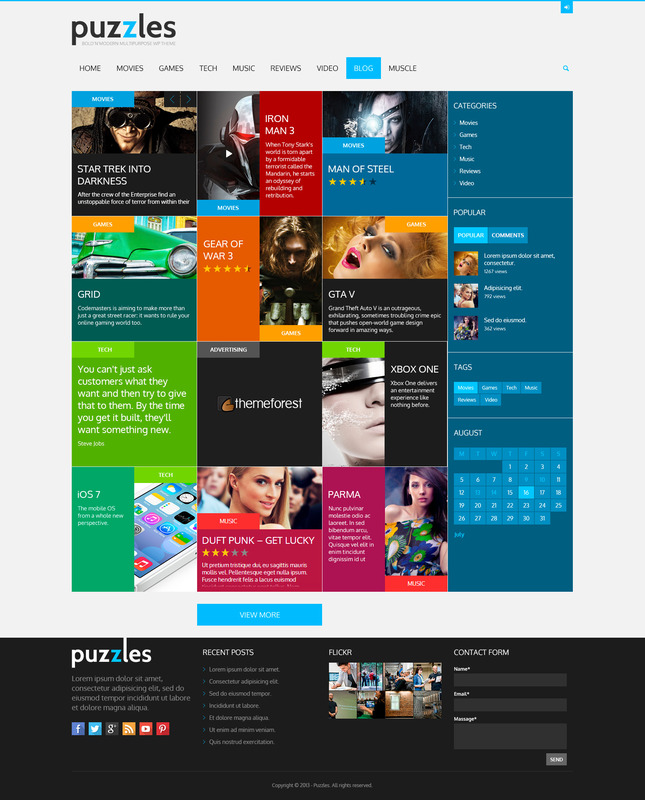 Due to Woocommerce compatibility it works for online store & shop as well as gadget review magazine. 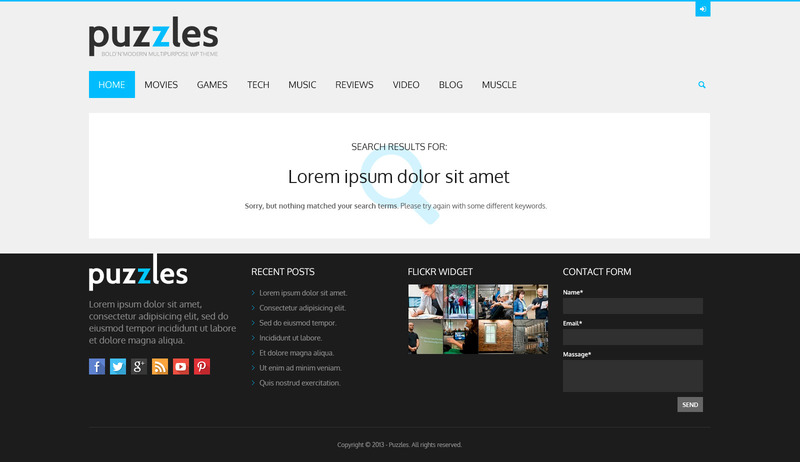 It is compatible with such premium plugins as: Woocommerce, WPML, BBPress and BuddyPress compatibility. 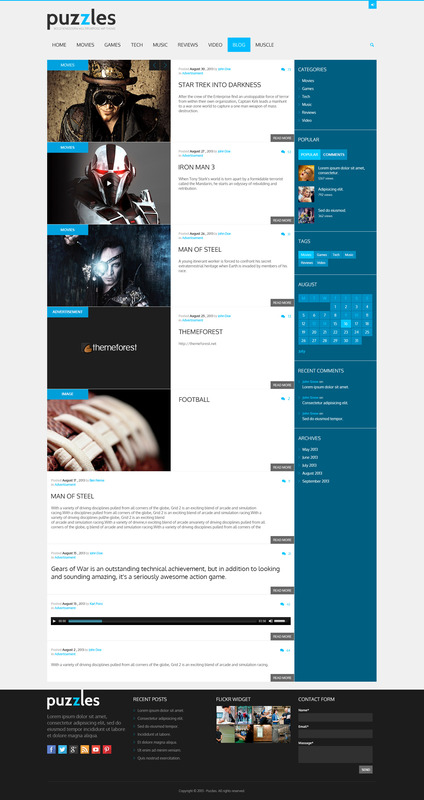 Thus it is perfect for blogs, forums, portals, game, music, video and movies reviews. - The parameter "rel" is added into the shortcode [button], so that the button url can open in the pop-up window "prettyPhoto"
- Buttons for sharing in socal networks are added. - An option of image selection has been added into the widget "Logo and social links"
- When clicking on image in gallery on the blog stream and home-  pages you will be redirected on the post. 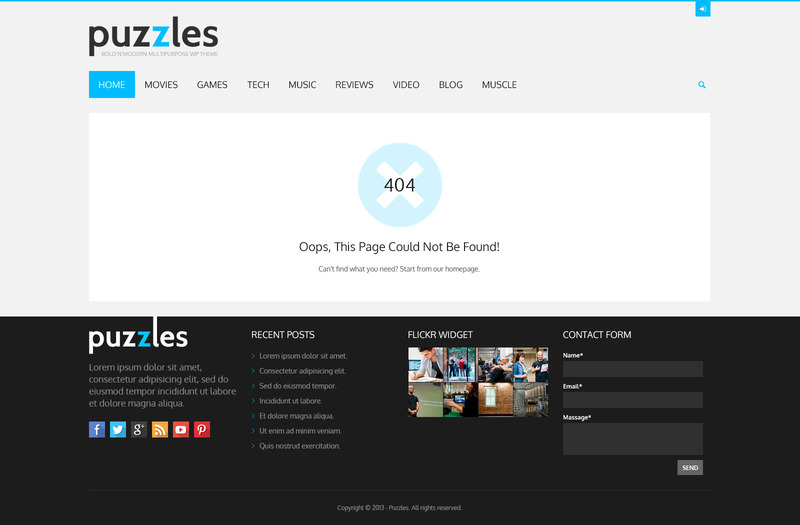 Also, when doing that in the single post - the image becomes large.